For all of us who have been hoping for the economy to make a come back, there is light at the end of the tunnel! Wall Street just released its top 10 best American cities for business, ranking Pittsburgh, PA 9th and Cincinnati, OH in first place. According to Wall Street, employment in Pittsburgh only fell 3.3% during the recession, which is one of the smallest declines in the entire country. Since then, the labor market has fully recovered and now has more employed citizens than it did before the peak of the recession. Exports grew 13.2% between 2009 and 2010 in the Pittsburgh area. 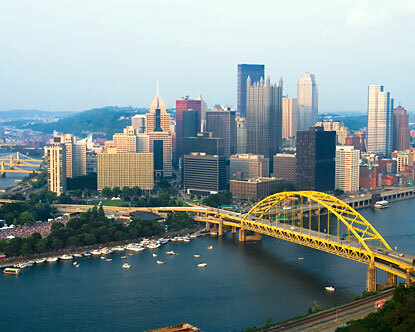 The GDP for Pittsburgh is $116.42 billion, with an unemployment rate of 7.6% and a median income of $46,240. KPMG ranked Cincinnati as the most competitive city for business among the 27 largest metropolitan regions in the U.S. According to the Tax Foundation’s study of 51 large cities in the U.S., Cincinnati ranks as ninth best for new business and seventh best for established corporations. According to the study, companies in the city benefit from low transportation costs and affordable prices for facility leasing. The GDP for Cincinnati is $94.73 billion, with an unemployment rate of 8.4% and a median income of $51,576. KPMG’s report examined 26 different cost components that can affect the cost of running a business, such as taxes, labor costs, leasing prices and utilities. It also looked at 30 non-cost-related factors, including crime rates and the presence of nearby universities. The report looked at the 27 largest metropolitan statistical areas in the country, measuring these expenses across 19 different major industries. The cities that performed the best had the highest scores of the 19 industries. Sharon is an internet sales and marketing innovator specializing in the new home industry that previously worked for Maronda Homes in Pittsburgh, PA. Sharon believes that successful selling isn’t about what you want, it is about doing the right thing for everyone involved and building relationships. Benefits of buying a New Home!